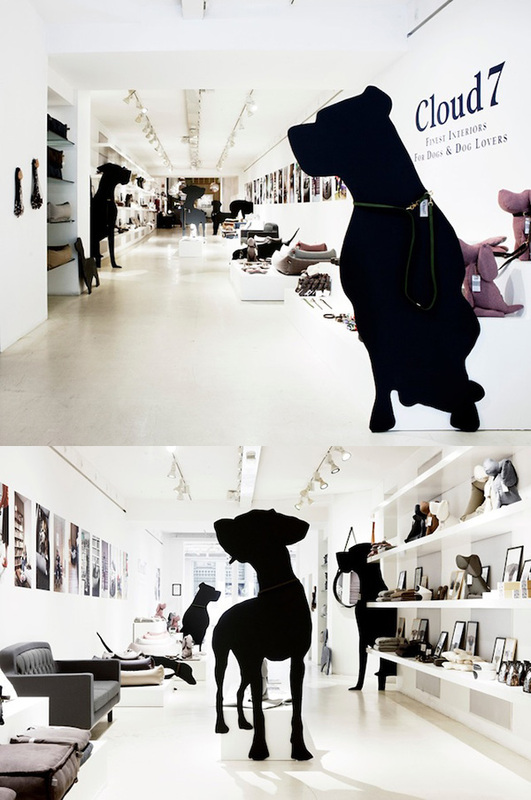 In 2013, Berlin’s CLOUD 7, creator of sophisticated and upscale interior products for dogs, teamed up with Normann Copenhagen to launch an exclusive pop-up at Normann’s concept store. 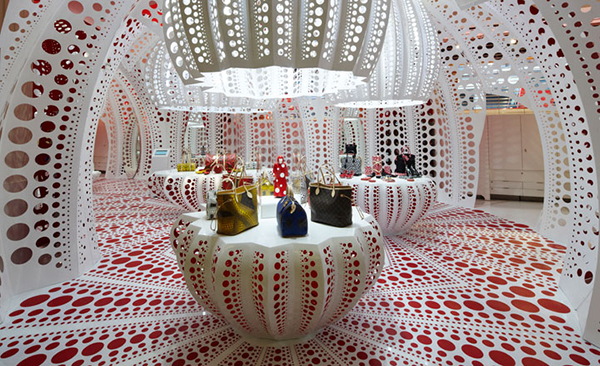 In 2012, Louis Vuitton and artist Yayoi Kusama essentially “took over” Selfridges in London with the creation of this dotty concept shop and 24 of the store’s windows. 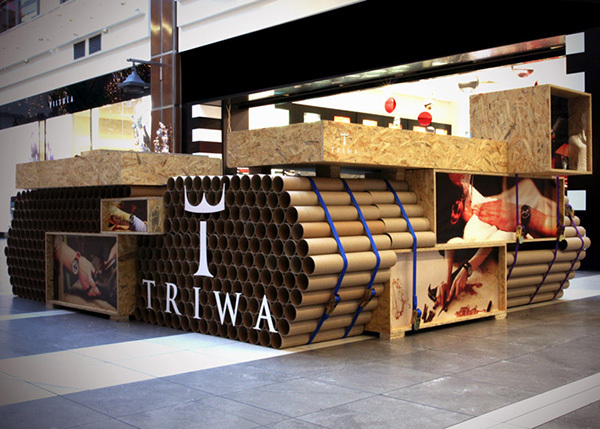 Cheap, easy to construct and certainly eye-catching, this pop-up shop for TRIWA watches was created by Polish studio Mode:lina Architekci and was located in Poznań Plaza shopping mall in the city of Poznań, Poland in 2012. 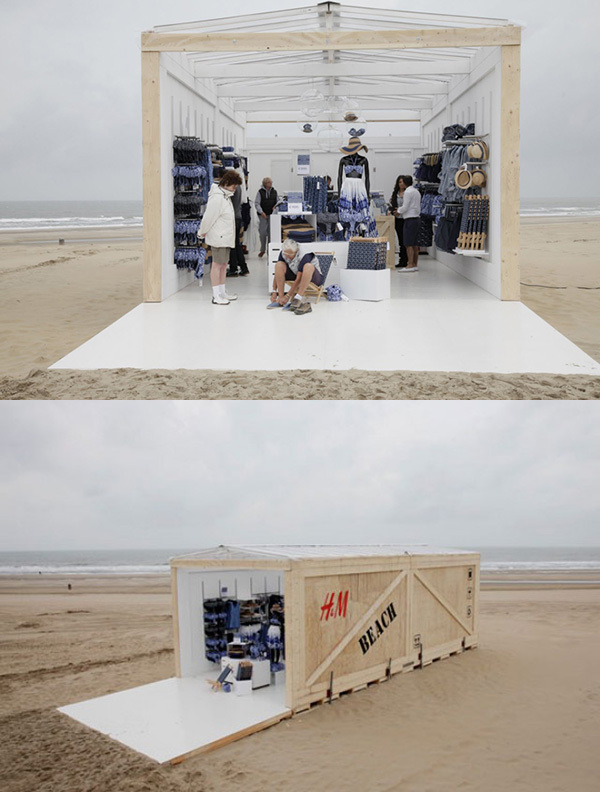 This pop-up shop in London’s Shoreditch neighborhood was only open for three days in January 2014. 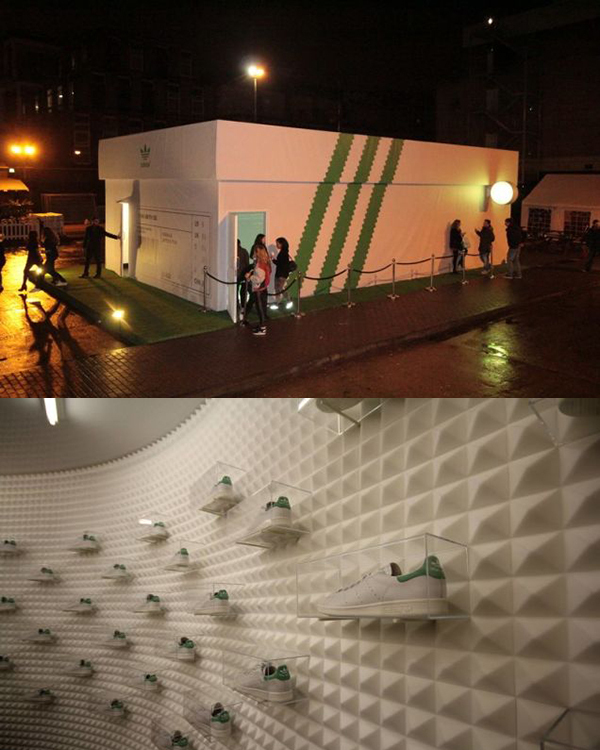 The “Stan Yourself” station allowed for customers to put their own faces on shoes, while the 3D printing post let them make custom lace locks. 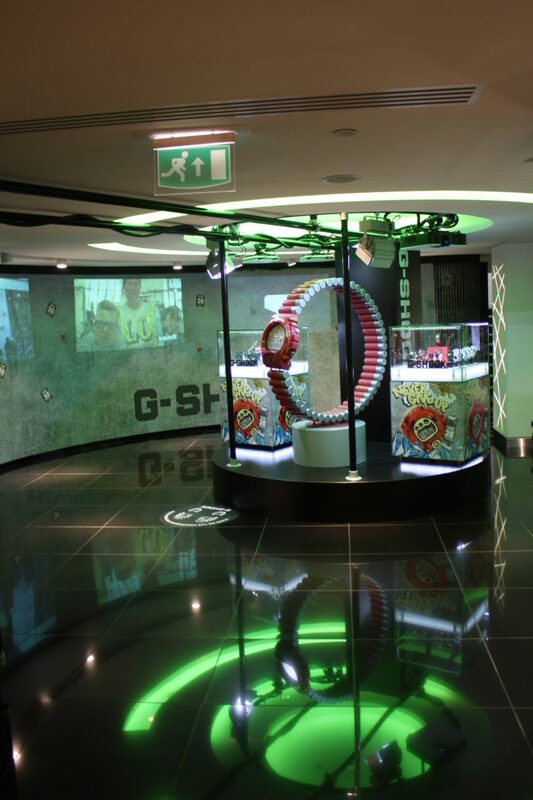 Luxury watch designer Hublot’s pop-up was located in Singapore’s Paragon Shopping Mall and featured over $20 million worth of merchandise. 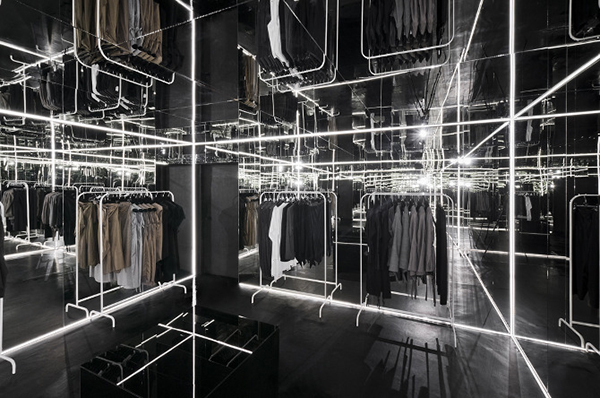 The store was created in a collaboration with Singapore designer Chris Lee of Asylum. Titled “Big Bang,” the two story installation featured black gems that cascaded from the ceiling. 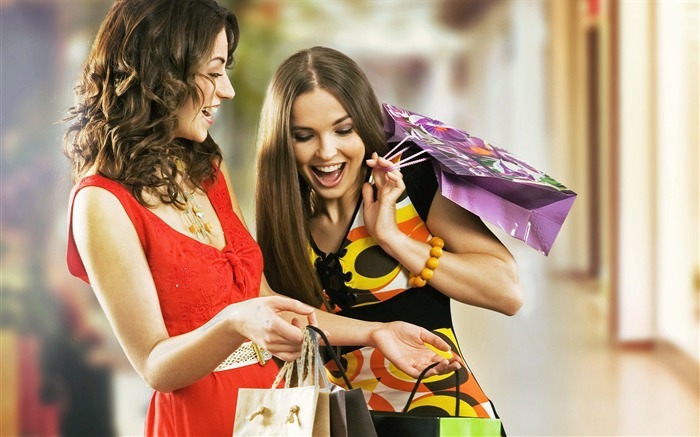 The “blink and you’ll miss it” retail space was open for only two weeks in 2012. 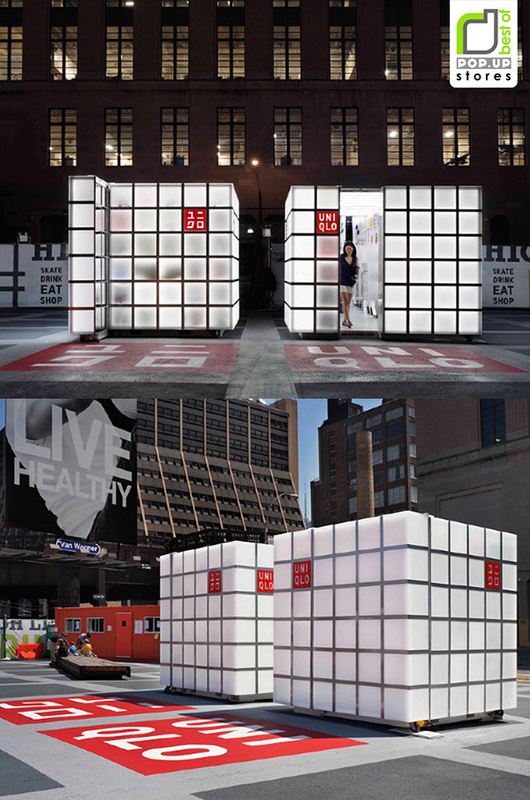 In 2012, six “Uniqlo cubes” designed by HWKN, were set up at the Highline Rink in Manhattan. 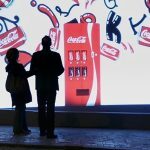 Lisbon, Portugal’s LIKEarchitects wanted to avoid the conventional white-walled museum space to showcase Andy Warhol’s art and instead opted for an unusual design – the Warhol pop-up consisted of four rooms carved out of a maze of 1,500 metal paint cans. 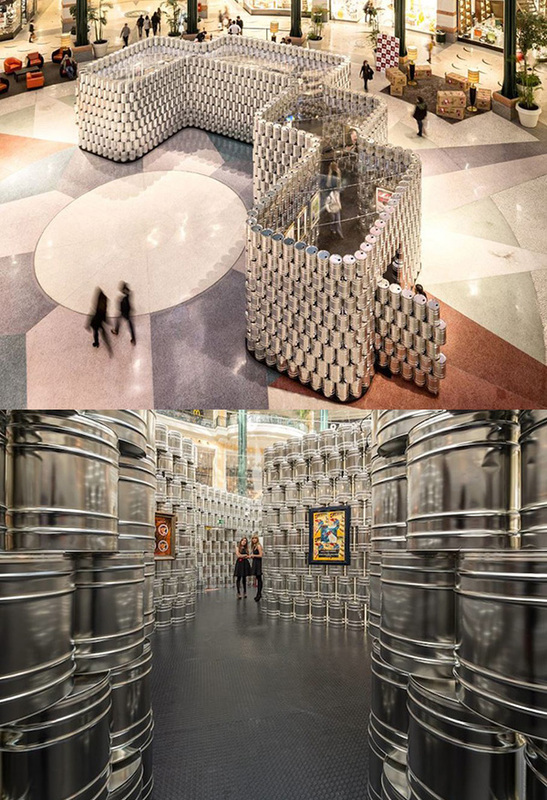 The pop-up was located in the Colombo Shopping Mall’s atrium from April-July 2013 and consisted of 8 layers, the bottom three of which were filled with sand to keep the structure stable. 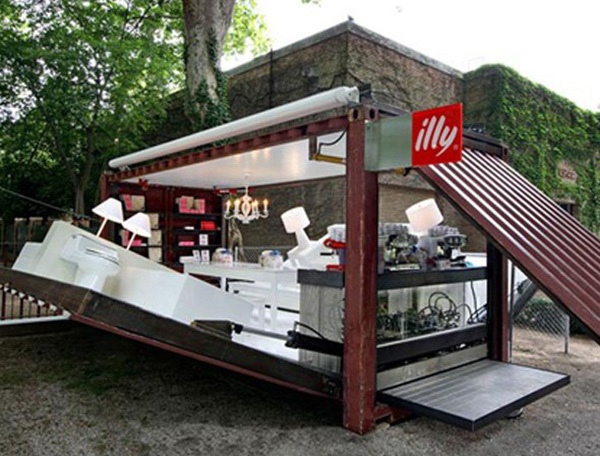 The pop-up was located in Warsaw’s city center, opposite the popular café “Między Nami” for three months in 2011.